Dr. David Putnam attended the University of North Carolina in Chapel Hill, NC as a Morehead Scholar, where he graduated in 1973 with a Bachelor of Arts degree. He received his Medical Degree at the University of North Carolina in 1977. Dr. Putnam then completed his Medical Residency at the Albany Medical Center in Albany, NY, continuing on to complete Fellowships in both Cardiology and Critical Care at Albany Medical Center in Albany, NY and Ellis Hospital in Schenectady, NY in 1983. Dr. Putnam is Board Certified in Internal Medicine and Cardiology. He is a Fellow of the American College of Cardiology and a Fellow of the American College of Physicians. Dr. Putnam is on staff at St. Peter’s Hospital, Albany Medical Center, and Albany Memorial Hospital in Albany, NY. 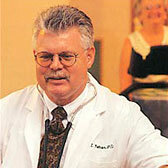 Dr. Putnam is currently Medical Director of the Blood Laboratories at Capital Cardiology Associates, PC. Dr. Putnam’s cardiology specialties include general cardiovascular disease with a special interest in cardiac wellness, lipid disorders, congestive heart failure, hypertension, and sports medicine. Dr. Putnam is married to Patricia Putnam and has three grown children, Emily, Darroch, and Jameson. He resides in Delmar, NY. When he is not practicing cardiology, Dr. Putnam is an avid Outdoors-man. He enjoys backpacking and kayaking in the Adirondack and Catskill Mountains with his family.